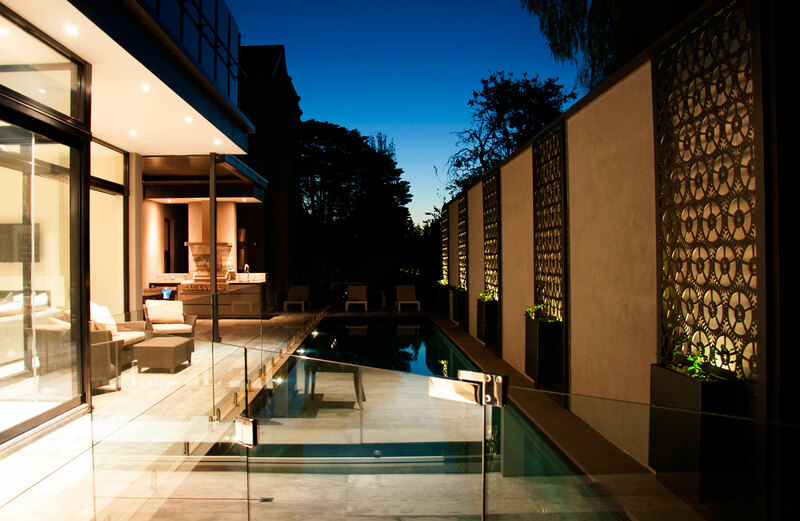 This grand old home in Kew underwent a complete restoration and a major rear extension along with a landscape redesign, The long narrow pool along the side of the outdoor entertaining and living areas was the perfect spot for feature screening. 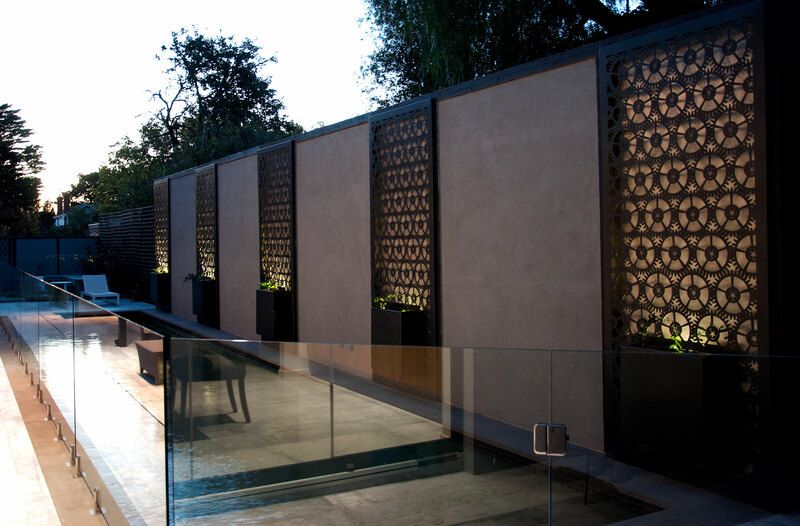 In response to the clients request, we developed Our COG pattern, which provided an industrial link for this home of grand proportions. 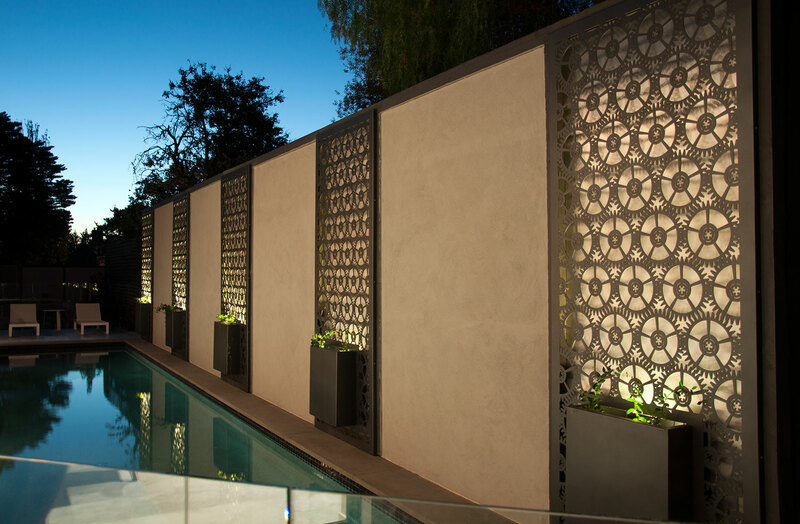 The narrow space along the pool was to have planters, however the tight space, meant we had to custom design integrated planters into the screens in order to allow plenty of soil, while still giving access down the side of the pool. 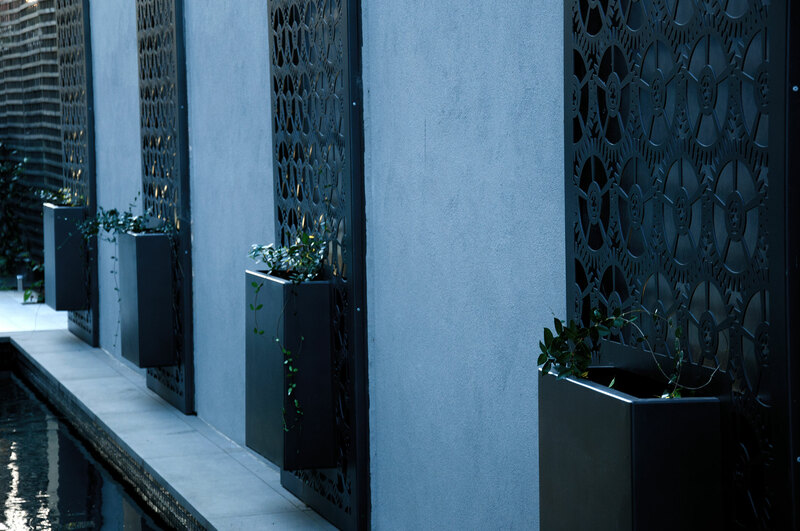 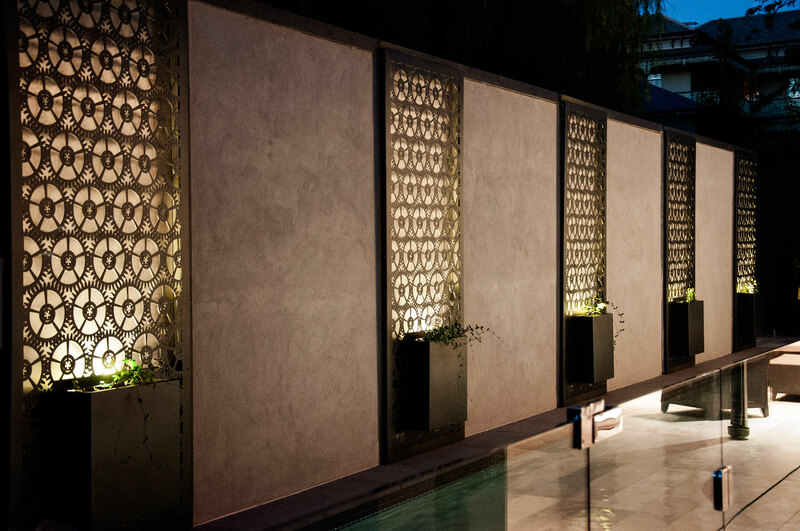 Intricately laser cut from 3mm aluminium and then powdercoated in Interpon BASS colour powdercoat – the panels come to life at night when the spot lights and pool illuminate.